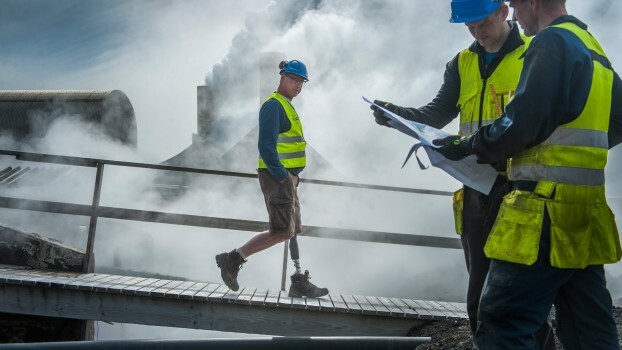 The first complete bionic leg, combining a powered ankle and an adaptive microprocessor knee joint. 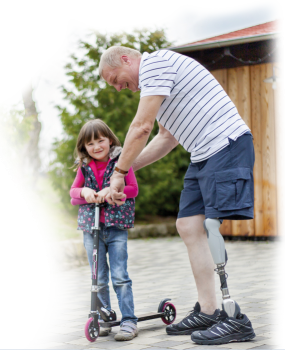 Featuring a specially designed and calibrated compbination of Ossur’s proven PROPRIO FOOT and RHEO knee technologies, the Symbionic Leg provides unmatched benefits for transfemoral amputees. The active toe lift in swing clears the ground and minimizes the risk of tripping; if a stumble should occur, an advanced stumble recovery feature protects the user from a fall by providing instant stance support. The Symbionic leg also adjusts the ankle angels according to terrain conditions and steepness of slope. This generates better ground contact and optimal knee response when ascending or descending ramps for users. The heel adjustment also makes changing shoes or going barefoot simple without compromising the alignment of the prosthesis.